PESHAWAR -- Women from Pakistan and Afghanistan are uniting to launch collective efforts against radicalism and to promote peace building in their respective countries. The platform enabling peace activists in both countries to associate is the "Peace Exchange: Pak-Afghan Women's Bridge for Peace", conceived by Kabul-based Equality for Peace and Development (EPD) and Peshawar-based Aware Girls. The first event, held in Kabul May 21-24, included about 70 peace activists and civil society members from Afghanistan and Pakistan, provincial council members, and representatives of national and international institutions. A second exchange took place in Islamabad July 17-21. "The idea behind launching the Pak-Afghan Peace Exchange programme was to provide a forum for the womenfolk of both terrorism affected countries to exchange views on the impact of radicalism on their lives and ... on how to eliminate this curse," said Gulalai Ismail, founder of Aware Girls, an NGO working for women's empowerment, gender equality and peace in Pakistan. This is the first time women of Pakistan and Afghanistan have had the opportunity to come up with collective ways "to douse the fire of radicalism and protect the upcoming generations from its effects", she told Pakistan Forward. "The interaction helped participants raise views on and concerns about the impact of radicalism on women and to discuss approaches for making the peace process more inclusive," she said. "This is a good development aimed at empowering women to highlight the suffering they face from radicalism and violent extremism," said Shela Qayummi, head of the Afghan delegation that participated in the Peace Exchange in Islamabad. The exchange provides a platform for the inclusion of women in the peace processes in Afghanistan and Pakistan, she told Pakistan Forward by phone from Kabul. The interaction with women from Pakistan enhanced Afghan women's confidence to raise their voices against extremism, said Shela. The impact of "terrorism, in the shape of physical disabilities, displacement and destruction of property, affects men and women differently", she said. "Consequently, women have different approaches towards de-radicalisation, conflict resolution and peace building." About 20 women from Afghanistan participated in the July exchange in Islamabad, where they shared stories of the tragedies they endured from terrorism and violence, she said. Similarly, during the Pakistani peace activists' visit to Kabul in May, the women visited a shelter acommodating women affected by war. "Through such exchanges, the plight of women will come to light and the public will become aware of the suffering faced by the women of Pakistan and Afghanistan because of their common enemy: radicalism," Shela said. The Peace Exchange is "a very wonderful initiative for the peace building process of the two countries", said Azra Nafees Yousafzai, an educator, poet, writer and peace activist who participated in the delegation from Pakistan. "The brunt of war is felt by women and children," she told Pakistan Forward. "Women at their best can mend broken ties and play a very dominant role in bridging the trust gap by becoming involved in softer exchanges like art, culture music, education and trade," she said. Members of the Afghan delegation expressed gratitude to the people of Pakistan in general and of Khyber Pakhtunkhwa in particular for hosting them when war displaced them, said Azra. They called for better diplomatic ties between Pakistan and Afghanistan and stressed the need for both states to tackle terrorism as a top priority, she said. "They urged the heads of both countries to sit together at the negotiating table and take practical steps towards bringing peace and towards saving our [younger] generations from the impact of radicalism," Azra said. 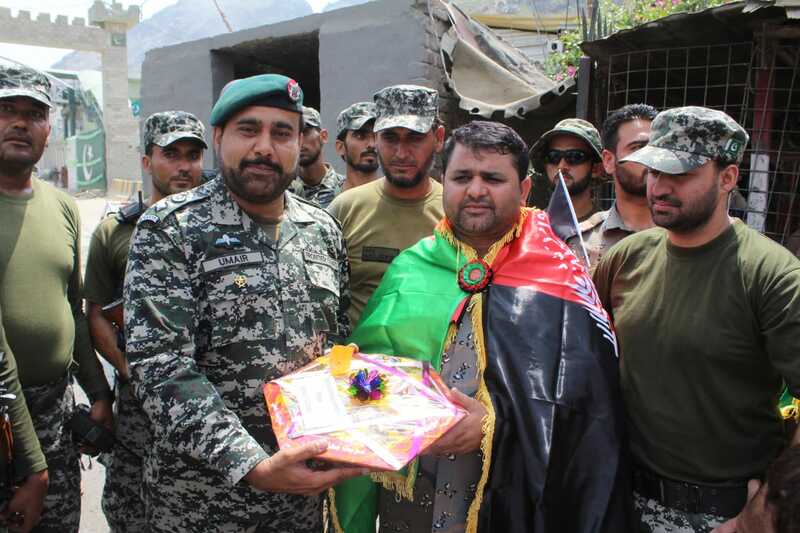 The joint celebrations on August 14 and 19 in Peshawar and at the Torkham border crossing are a sign of warming relations between the two neighbours, observers say. 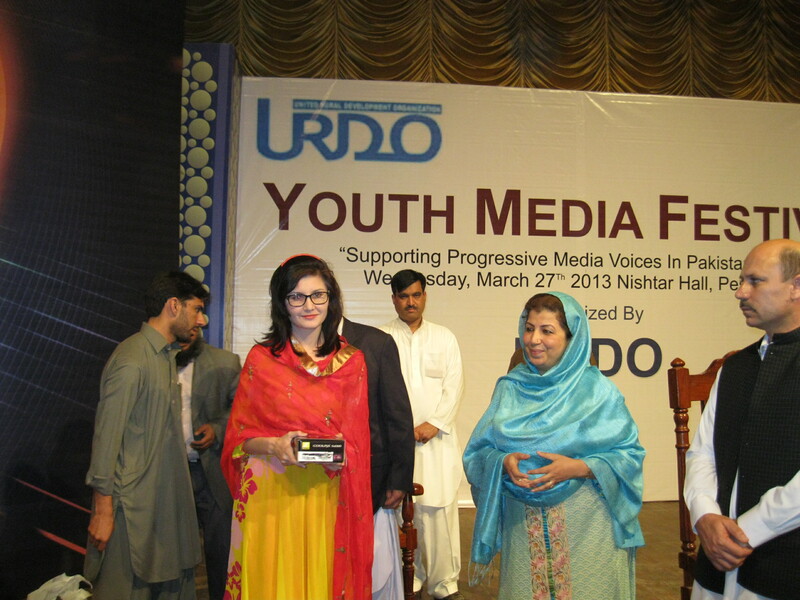 Mossarat Qadeem was nominated for an international award recognising her efforts against violent extremism. 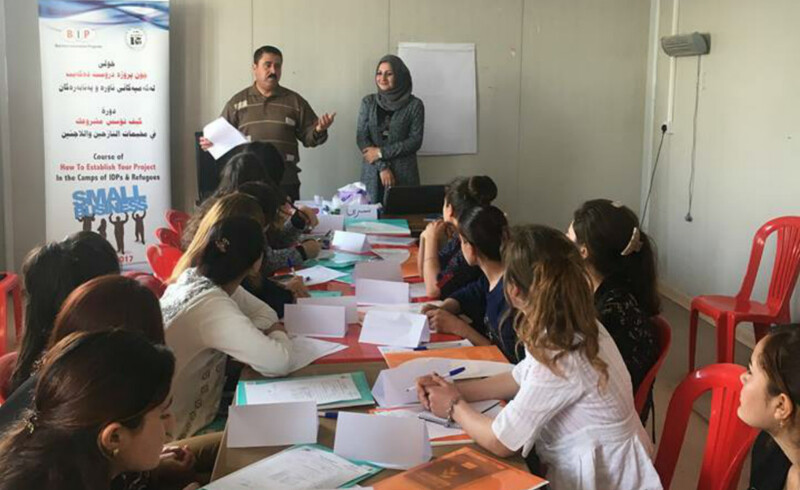 The Iraqi Women Network has been working to help communities affected by 'Islamic State of Iraq and the Levant' violence to move forward.